PCD is a proprietary format by Kodak that is mainly used for storing images on compact discs and for saving images created with Kodak photo processing hardware. This format uses the resolution of 3072x2048 or 6144x4096 pixels, and 24-bit color scheme. The bad thing about PCD format, is that pictures saved in it can only be opened with expensive software, like Adobe Photoshop CS5 with Kodak Photo CD plug-in, Corel PaintShop Pro X4, Corel WordPerfect Office X5, ACD Systems Canvas 12, ACDSee Photo Manager 14, XnView and IrfanView. If you are unwilling to spend hundreds of dollars on these programs, you should convert PCD to PNG and enjoy viewing of these files with free software. PNG, or Portable Network Graphic, is a format that uses lossless compression technology and is great for saving images for Web. PNG files can be easily viewed with any picture viewer and web browser. 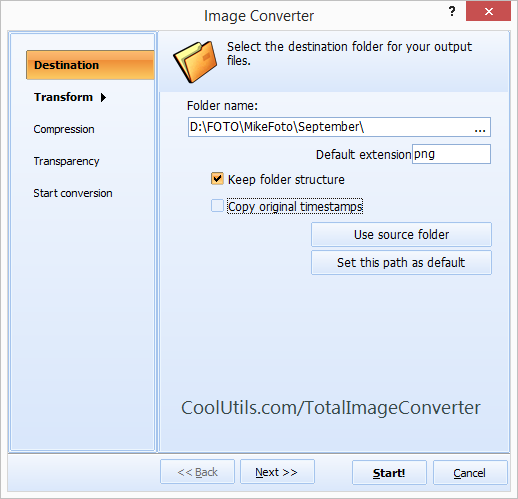 To convert hundreds of PCD file into PNG, use batch image converter, such as Total Image Converter by CoolUtils. This tool is a great way to convert PCD to PNG in batch, as well as to make many other changes to your images. 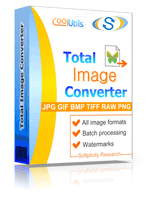 Total Image Converter has batch conversion mode that allows to process files in only a few clicks and in a matter of minutes. Simply select the files in PCD format you want to export into PNG from the automatically generated list and set the target format. 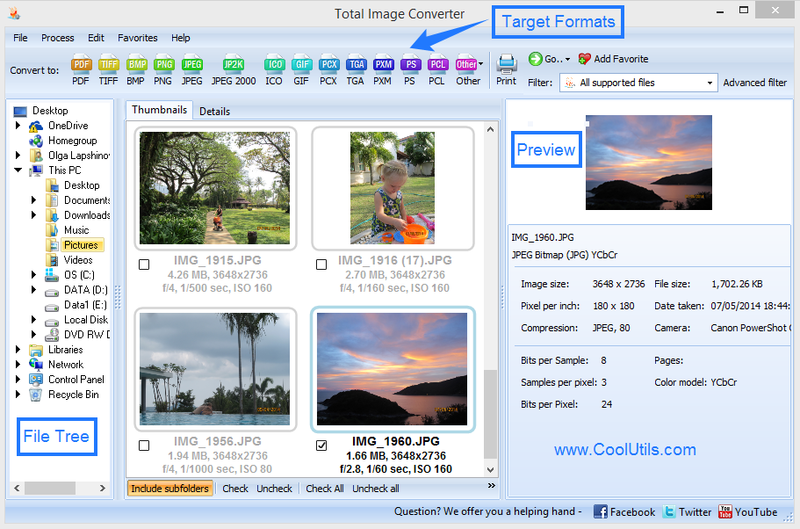 Total Image Converter is a multi-functional tool that allows you to not only convert files, but also edit them. Rotate, crop and resize pictures without expensive programs like Photoshop or Corel! Total Image Converter is irreplaceable when it comes to protecting images! Apply watermarks and your photos are guaranteed to be safe from unauthorized use! With CoolUtils PNG converter, you can also easily deal with pictures saved in other formats. This program supports TIFF, JPEG, RAW, PNG, BMP, PSD, TGA and many other formats. 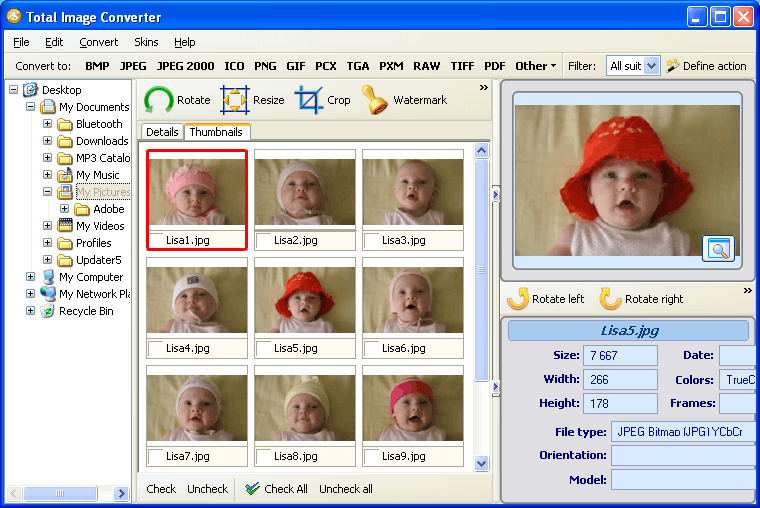 To download your free trial version of Total Image Converter, please, click here. Convert PCD to PCL in batches with ease. Convert PCD to TIFF in three steps.